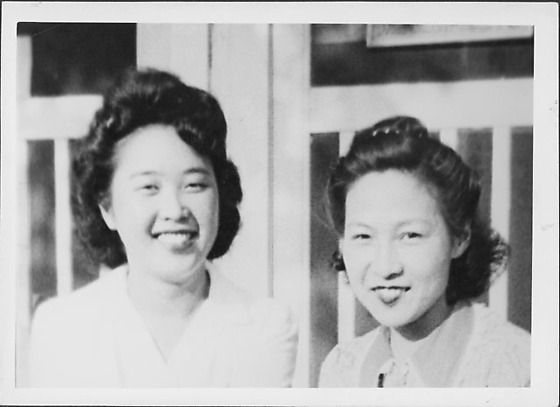 Head and shoulder portrait of two smiling women in front of closed white screen doors of barracks at Rohwer concentration camp, Rohwer, Arkansas, 1942-1945. Woman on L wears white blouse with open collar. Woman on R wears sweater or blouse with contrasting collar.